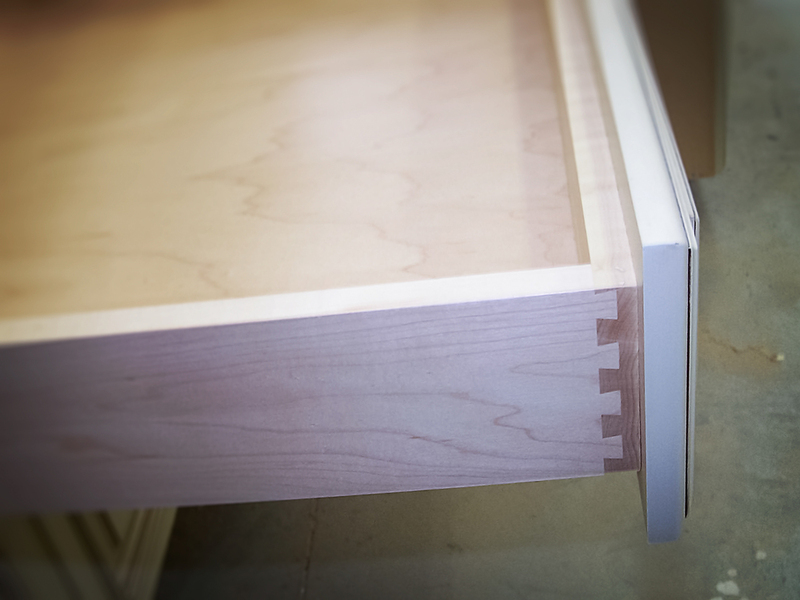 Fine cabinetry specially customized to reflect your design style while enhancing functionality in daily use. It's the little things that can make the biggest impression. 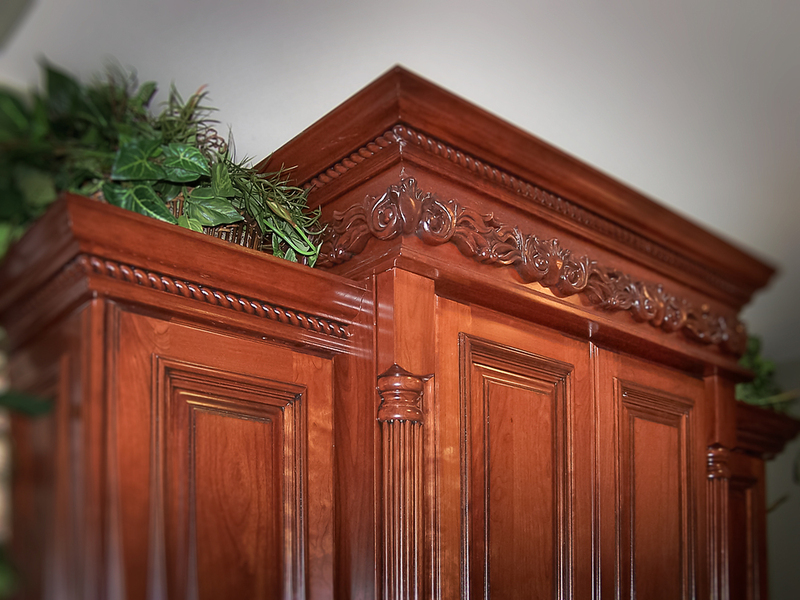 When it comes to cabinetry and fine millwork, details matter. Functional layouts, accurate measurements, tight tolerances, quality materials, skillful construction, artful finishings and robust hardware. 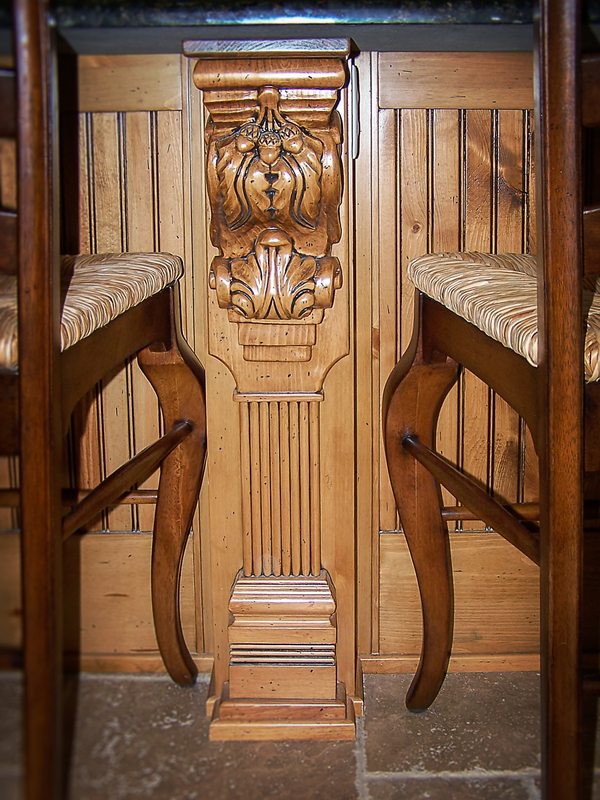 Hand-turned spindles, dovetailed drawers and ornately carved trim are just a few of the details that set our work apart. Calmbrook Fine Cabinetry has years of experience in designing, supplying and installing the finest solid wood cabinetry available and can help you realize your dream kitchen, bathroom, office or den with a custom installation. Fine cabinetry not only brings definition to your living spaces but a sense of timeless elegance. 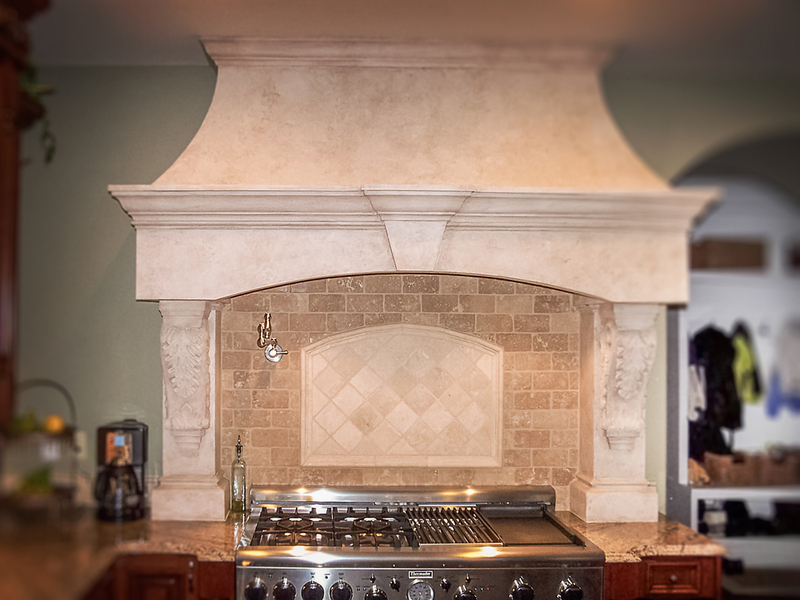 Having Calmbrook design your next cabinetry project allows for full expression of your vision. Our experienced designers work with you to create a lasting installation that meets your exacting standards. No detail is overlooked. All components are customizable—wood, paint and glaze finishes, styles, hardware, special features. The result is a one-of-a-kind finished product that uniquely compliments your space. Whether relying on our specialized expertise to craft the ideal solution or choosing to specify every little detail, clients can depend on Calmbrook to manage the entire supply and installation process, from measuring to manufacturing to finish carpentry. From kitchens to bathrooms, offices to dens, wall units to bars, Calmbrook Fine Cabinetry can provide an elegant installation in any area. Give your bathroom a sophisticated look with a custom vanity cabinet. Custom entertainment centres and storage units are an ideal use of space and bring an added warmth to any room. Relax and be comfortable around a basement serving area designed specifically for your space. More than just cabinets and drawers, Calmbrook can provide a complete design solution. 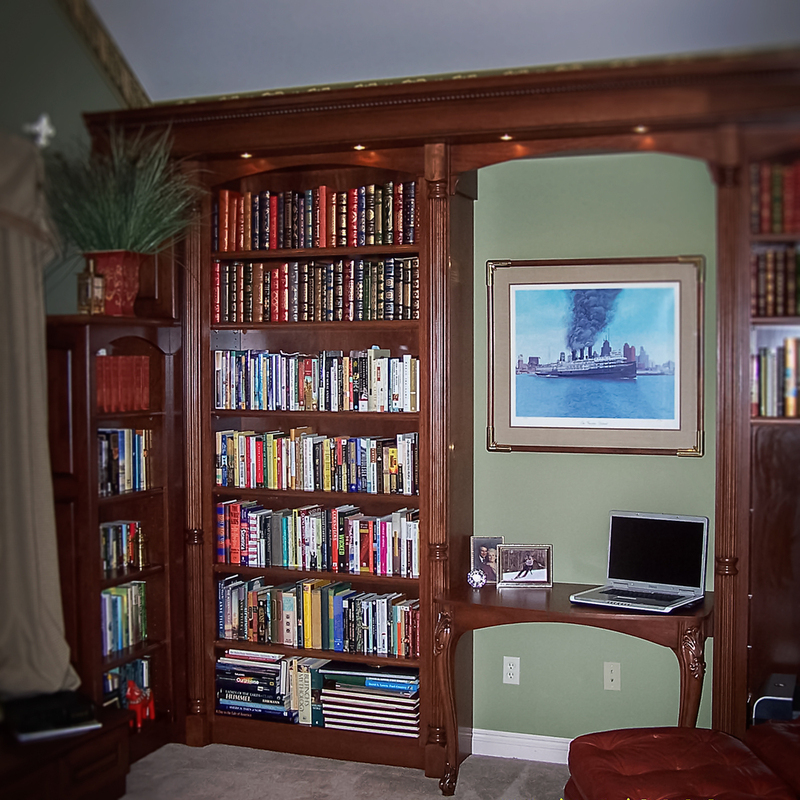 Custom office furnishings include desks, shelving and panelling. Unique desks, dressers and makeup tables enhance the beauty of the bedroom.